Get to know one of the most beautiful cities in the Northwestern United States at our beautiful Coeur d’Alene Hotel! Perfect for leisure or business travel, our host of excellent amenities includes everything you need to relax and enjoy all the great things to do in Coeur D’Alene. Our hotel's close to Silverwood Theme Park, the world famous floating green golf resort, casino and much more! Hike or cycle across our beautiful trails, or simply relax on the beach at Lake Coeur D’Alene. Need some inspiration in planning your itinerary? No problem, we’re here to help. 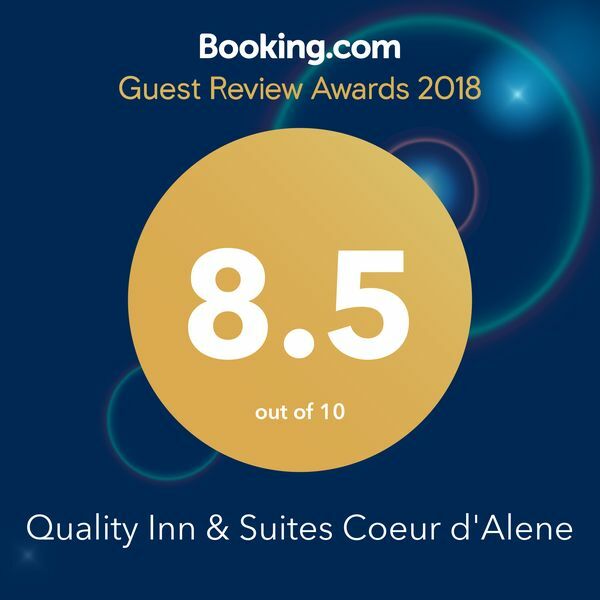 Book your hotel room at the Quality Inn & Suites in Coeur d’Alene and reach out to one of our knowledgeable hotel staff members, with your hotel stay dates, for the best events and activities in Coeur D’Alene and surrounding area. Our friendly and professional staff make it their mission to ensure you have an unforgettable stay. Come down to the lobby at 7pm every day where we will be serving hot, out of the oven cookies for all of our guests. In the morning, join us for complimentary breakfast served daily with all of your favorites including waffles, pancakes, biscuits and gravy, sausage patties, and more! We alternate our menu daily, so if you are here for an extended stay, you can enjoy all of our delicious breakfast menus. At the Quality Inn & Suites Coeur d’Alene, we understand and embrace the importance of family – and that includes your furry friends! Our pet-friendly Coeur d’Alene hotel allows guests to bring pets along during their stay with us at the Quality Inn & Suites Coeur d’Alene for no extra charge! Whether you are here on vacation or just passing through on a road trip, you can relax knowing that the whole family is welcome. Indoor pool? Check. Fitness Center? Check. Business Center? Check. Laundry Facilities? Check. 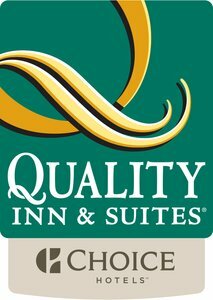 When you book a room at the Quality Inn & Suites Coeur d’Alene, you'll have everything at your fingertips. Our Coeur d’Alene hotel’s indoor hotel pool is open and available 24-hours a day, 7 days a week, so you can go for a dip whenever you want. Our hotel does not have an elevator so please call the hotel directly for special requests. Stay connected to home or work and never miss a deadline with our dedicated business center including copy and fax facilities, available 24-hours a day. We also offer hotel free parking with room for trucks and buses too. Great hotel features and amenities at affordable rates that are perfect for you. If you are looking to save more and receive great perks, check out our special hotel deals and rates and pick the package that is right for you!